PSO Explained in 60 Seconds Watch this quick introduction video to learn how our Packaged Solution Offerings can help you. Altair’s "Packaged Solution Offerings" (PSOs) are an expanding set of highly tailorable applications which aim to streamline CAE workflows and solve specialized industry vertical engineering challenges. Developed, implemented and supported by our specialist services team, PSOs run on HyperWorks Units and leverage your existing investment in Altair software. PSOs are designed to be rapidly deployed and customizable to meet your unique design/engineering processes and IT requirements. Take a look at our solutions below. "[The Automated Reporting Director] has cut down 4 hours of cropping and adjusting pictures to about 20 minutes work." Altair's Automated Reporting Director (ARD) removes the non-value add tasks associated with the mechanics of report generation, dramatically reducing manual effort. ARD is independent of industry, product type or simulation result type (e.g. stress, fatigue and/or vibration). Altair's Model Verification Director allows engineering analysts to validate CAD model data received from the design teams, automatically identifying potential issues that could slow down the pre-processing stage of the simulation life cycle. The solution identifies CAD intersections, missing welds, and incorrect bolt-nut positions on an entire assembly structure and generates comprehensive reports in Microsoft PowerPoint and Excel formats. Altair's Model Mesher Director (MMD) is a fully integrated, user-friendly solution that empowers engineers to import & modify geometry and mesh models with specific mesh criteria automatically with the power of Altair HyperWorks tools. By streamlining time-consuming modeling tasks, analysts can concentrate on more value added activities, spending more time investigating analysis results and providing design insight. Altair’s Virtual Gauge Director (VGD) is a combination of customized software and services that enable engineers to extract the results at the exact position of the strain gauge as in the test lab, interpolate the results at an identified CAE location, compute results in the local coordinate system of the gauge, and give a correlation index confidence. The Director can also be used to interpolate stress or strain values at any placement in the model. Altair's Geomechanics Director (GeoD) allows engineers and scientists in the Rock Mechanics and Geology groups at Oil and Gas companies, to build finite element models from subsurface geology quickly and efficiently. Fully integrated into HyperMesh, this user-friendly solution provides process guidance and a semi-automated approach for importing tessellated surface geology, cleaning up the model, organizing stratigraphically, assigning properties and creating boundary conditions. Altair's Impact Simulation Director (ISD) solution automate the laborious, manual tasks associated with model setup, analysis, post-processing and reporting for impact analysis. 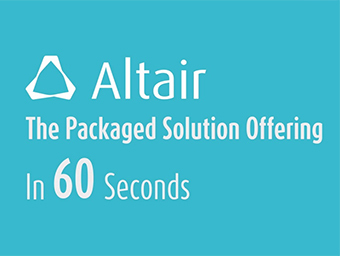 Highly tailored to an organization's specific procedures and best practices, Altair's ISD solutions reduce development time and costs while enhancing product robustness and performance. Reduces impact simulation time by up to 60% accelerating development/minimizing cost. Captures knowledge and best practices in standard workflow processes. 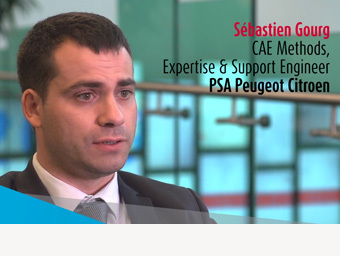 Increases reliability and repeatability of impact simulation results enterprise wide. Provides an easy to learn, user-friendly interface that streamlines the analysis process. Altair’s NVH Director employs the HyperWorks suite in a fully integrated, user-friendly, customizable form to automate the tasks involved in NVH analysis. By integrating the entire process of meshing, assembly, loadcase setup, and post-processing, it dramatically reduces the full-vehicle NVH simulation time, freeing CAE engineers to focus on optimizing product design and performance. Check the input data thoroughly for modeling errors, getting you to the correct solution, faster. Altair's Squeak and Rattle Director (SnRD) is a novel set of software automations to rapidly identify and analyze design alternatives to eliminate the root causes of squeak and rattle (S&R) in assemblies. Tailored to be deeply integrated within your environment and processes, SnRD offers a complete set of capabilities to streamline the entire S&R simulation workflow process from model creation to results visualization. Altair's Weld Certification Director (WCD) is a combination of a base software with customer specific additions and integrated services that allows engineers to accelerate the time taken to identify and analyze the performance of weld lines against mechanical requirements. The solution automatically identifies weld lines across multiple joint types, enabling engineers to quickly run a complete evaluation of all the weld lines in a structure and to check for potential performance issues.